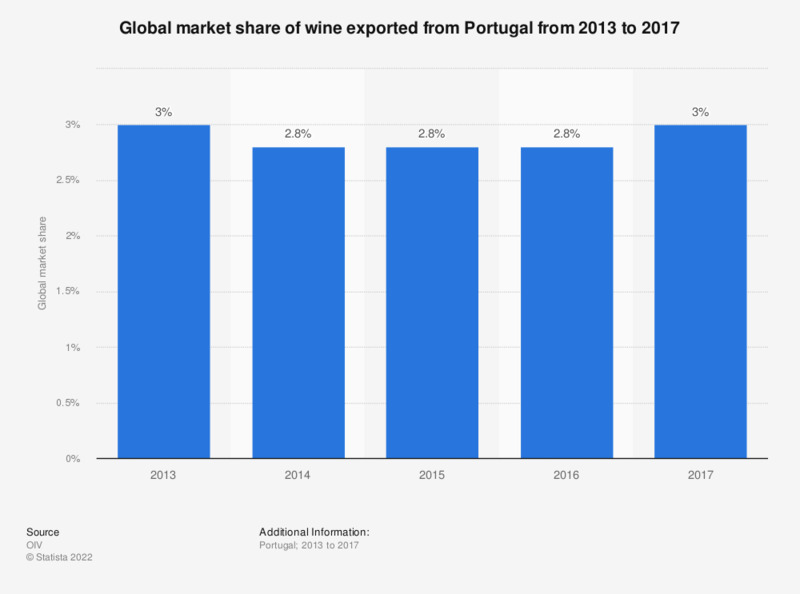 This statistic displays the global market share of wine exported from Portugal from 1986 to 2012. Portugal has held a consistent share of the market for the total volume of wine exported. In the year 2007, Portugal held a four percent share of the global market for the volume of wine exported. ** Data for 2012 is forecast. The global market here is defined as the sum total of all countries' exports.